It was a celebratory atmosphere at The Cyclorama on Tremont Street on the evening of May 4 as 350 guests joined Project Place to commemorate 50 years of service to those in need in the Greater Boston community. The agency hosted the Open Door Gala at Boston Center for the Arts, providing guests with an event that reflected the 50 years Project Place has been an ‘open door’ for the most vulnerable citizens in the community . 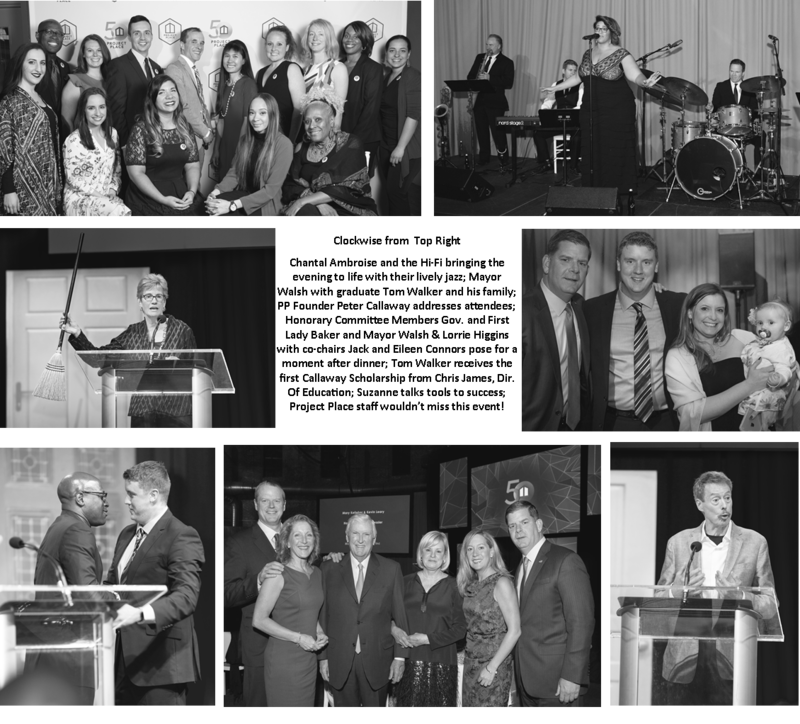 In addition to being a celebration, the Open Door gala was a fundraiser for Project Place’s upcoming three year expansion of social enterprises and industry-specific training, and raised $1.3 million to benefit the agency’s programs and services.